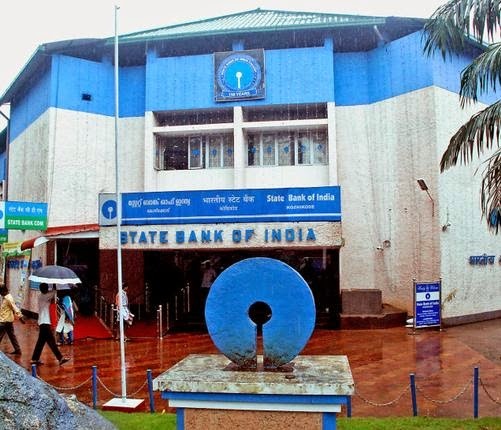 COUNTRY's largest lender State Bank of India is expecting to see 50 percent or about 6,000 employees opting for its voluntary retirement scheme (VRS).A senior SBI executive was quoted as telling a news agency, "The employees opting for VRS is on expected lines. We have estimated about half or 50 percent of the employees taking that option. You can say about 6,000 employees may opt to take it up." its five associate banks from April 1 to become the 45th largest bank in the world. "The scheme will be on offer till April 5 and those employees who have opted or applied for the VRS can withdraw it thereafter in a week's time..so we have to wait and see how many apply," said Dinesh Khara, Managing Director at SBI. The eligibility criteria for the proposed VRS is employees who are on the pay rolls of the bank and have put in 20 years at the bank or are above 55 years. Eligible employees will be paid an ex-gratia sum amounting to 50 percent of the salary for the residual period of service, subject to a maximum of 30 months salary. The associate banks have a total strength of 73,270 employees while SBI has a total staff of 200,820. SBI has a high attrition rate, with 12,750 leaving the bank during the current financial year. Earlier, SBI Chairman Arundhati Bhattacharya had said there would be about 26,000 employees retiring in the next two years. The bank has also recruited about 7,000 employees. After merger, SBI will trim its new hiring to 50 percent from about 10,000 on an average annually. SBI will also shut 47 percent of its associate bank offices to avoid duplication and overlapping of the services in the same regions. Out of the five head offices of the associate banks, only two will exist. The remaining three will be unbound along with 27 zonal offices, 81 regional offices and 11 network offices of the associate banks. Following this, around 1,107 employees are estimated to be directly affected by these shutdowns and will be redeployed, mostly in customer-interface operations. The official added that many may not be willing to relocate and some may not be comfortable with the changes in the bank. The VRS in the subsidiary banks would help SBI limit its staff costs from rising after the merger. SBI’s staff expense in the quarter ending December 2016 was Rs 7,137 crore, rising 16.5 percent year-on-year. Its pension obligation is estimated to be around Rs 3,500 crore. This would increase once associate bank employees come under the SBI fold. Reports suggest SBI is likely to see an average payout of Rs 12 lakh to Rs 15 lakh depending on the VRS applications. 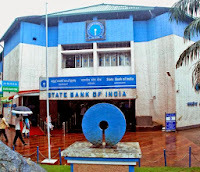 The five associate banks will cease to exist as legal entities and become a part of SBI from April 1, but the various data and other merger processes will start only after April 24, once the balance sheets of the five entities are audited and added. After the merger, SBI will have a combined balance-sheet size of Rs 41 lakh crore, with 22,500 branches and 58,000 ATMs servicing over 50 crore customers.